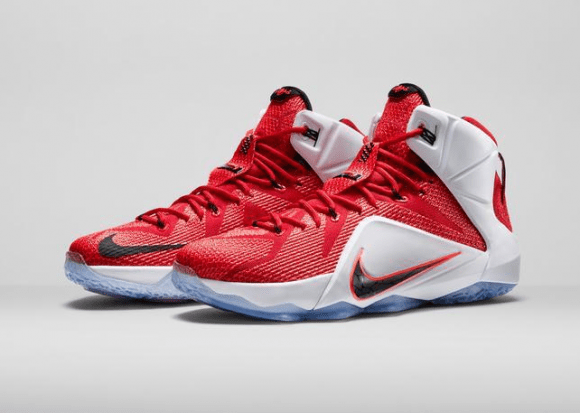 The Nike LeBron 12 ‘Heart of a Lion’ colorway is available now to purchase for $200 (GS is $160.) This is the first colorway to release after the ‘NSRL’ version got delayed. If you are unsure about how the shoe will feel on-court check out our performance review HERE. If you’ve already got a pair, let us know your first impressions in the comments below. 16 Oz is too much weight for LeBron to do high flying dunks. Come on, Nike. LOL! No, it’s really not. True. If I remember correctly, the lebron six was just as heavy, the fives and fours were way heavier. Why is this the new release colorway? Did this colorway not have any of the faults the other colorway had? hmm, the push back in release date coincides with his first game. would you rather market the home colorway or the green colorway during his first home game? Maybe since they found the ‘defects’ in the NSRL, they were able to remedy these ones early on. Why the shoes still have number 6 on it??? I’m not gonna lie. The more I see this colorway the more I like the shoe. The swoosh is still terrible though. I might pick it up if I can use a coupon. They didnt release in Europe yet, at least not in Germany. Does anyone know a release date? Got mine yesterday and they are so sick in hand! My only complaint is that my pair was ripped under the lace cover where the stitching is so I’m getting my pair switched out for a new pair today. yo nightwing. 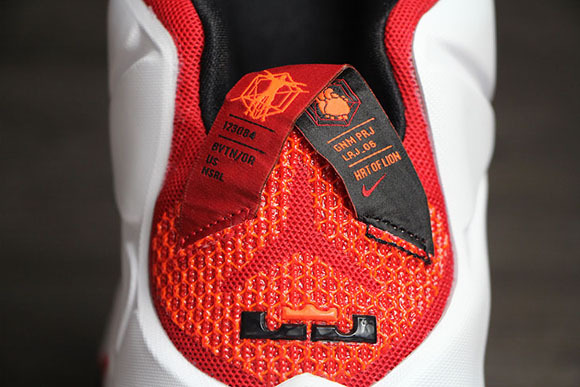 seems lebron’s pair during media day has 5 hex bags in front compared to the long 7 dissection. is this correct?